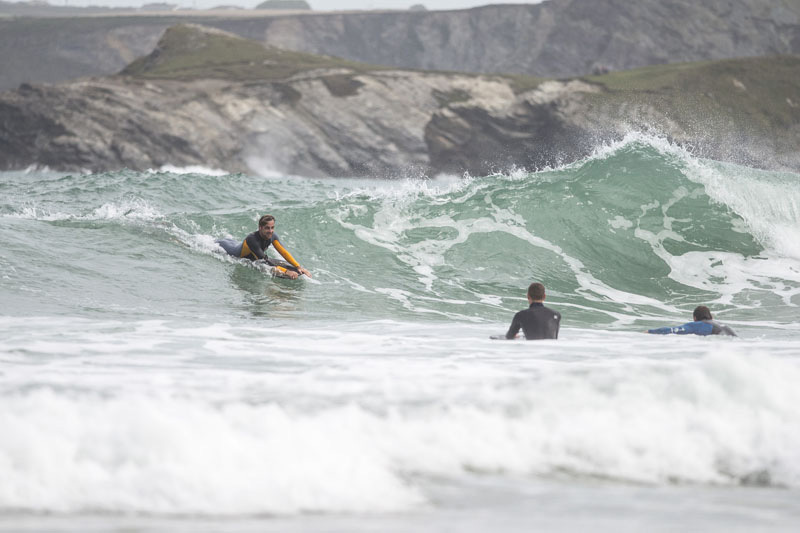 Our September bodyboard coaching weekends are a safe bet for good waves and weather and yet again this one didn’t disappoint. 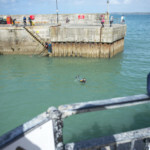 Fun 2-4 foot waves, offshore winds and sunny weather served up some fantastic conditions. 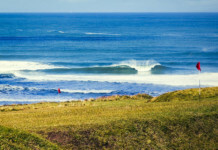 A session at a high tide wedge wave that saw the crew working on paddling, catching wedgey waves and el rollo’s. We then headed back to the beach to practice spins. The session was video’d and we reviewed the footage to see that 3 of the 6 guys on the course had come incredibly close to landing their first spins and rolls. On Saturday evening we enjoyed a pizza as the sun set over Fistral beach. Sunday morning saw us hit the road to enjoy the awesome four-foot waves and sunny weather. The guys had a quick stop in the Bodyboard-Depot to look at the range of boards, fins and leashes. 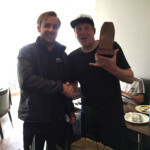 Rob delivered a presentation about what would work best for each individual in the conditions that they bodyboard in. 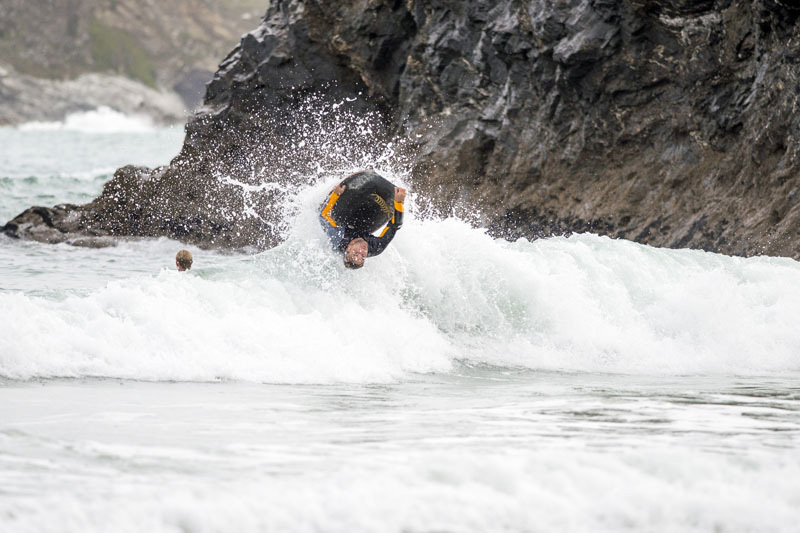 By the end of the Sunday session Dion Hunt from Ilfracombe had set a new standard for bodyboard weekends by landing a spin and a roll after 48 hours of trying! 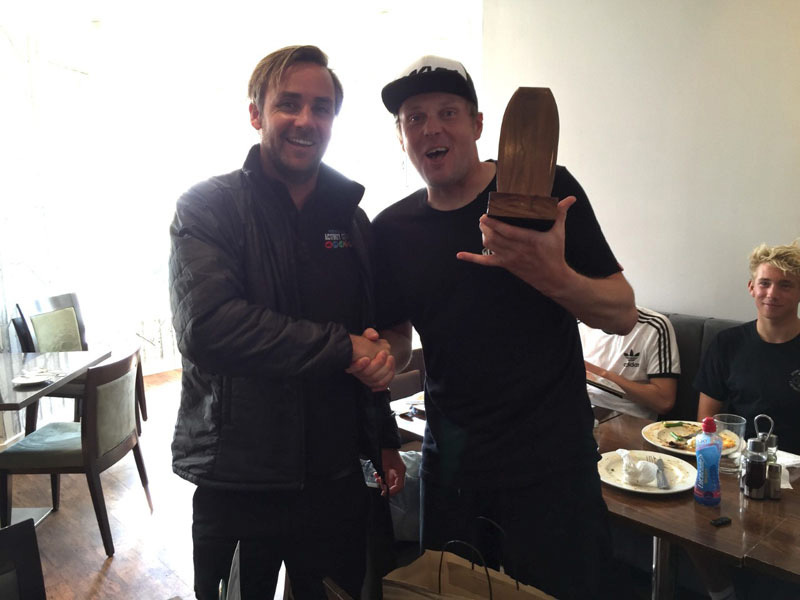 After a hearty Sunday roast dinner, the crew were presented with a goodie bag of bodyboarding gifts to take home with them and Dion was presented with a special trophy of an Indonesian hand carved bodyboard in respect of his awesome achievement. 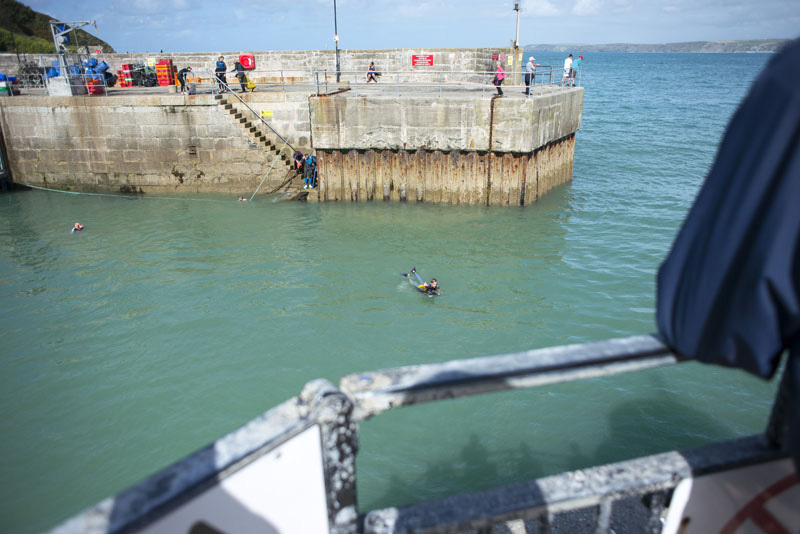 Another cracking weekend, with a plan from some of the crew to attend future bodyboard coaching holidays and to put in to practice their new skills! 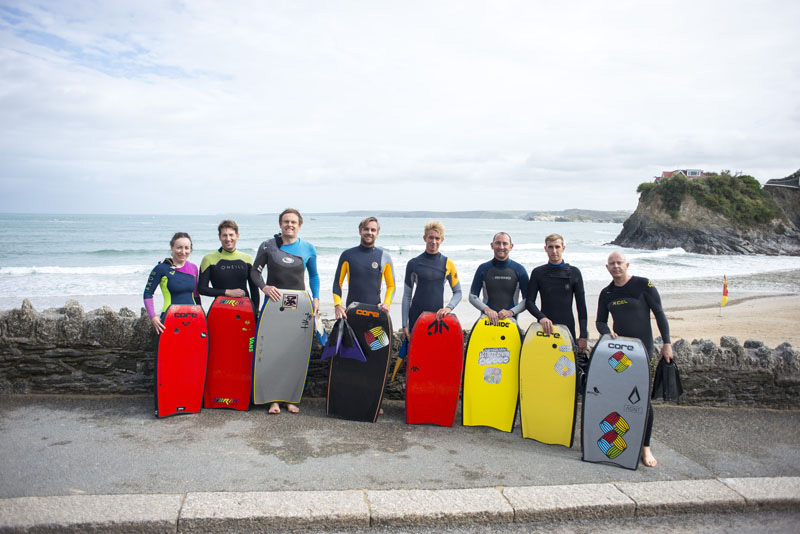 Previous article4 Reasons Why Bodyboard Coaching Weekends are Great for All Ages! 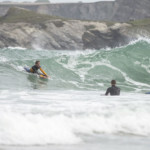 Next article3 Reasons Why Bodyboarding is Good for the Mind, Body and Soul!